Add Devices to Expand Your Capabilities—From SSDs and hard drives to LTO tape drives, Blu-ray burners, and pro media readers, Sonnet's Mobile Rack Device Mounting Kit allows your Echo Express III-R and xMac Server Pro to grow with a wide range of mobile rack devices. Do you like the idea of installing more devices in an Echo Express III-D or xMac Pro Server, but don't know where to start in choosing them? 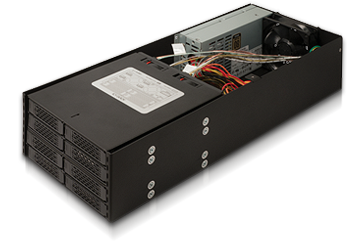 Sonnet offers special edition Mobile Rack Kits with mobile rack devices pre-installed for you, along with a PCIe card (if necessary) you will install into the chassis to support the devices.